244 pages | 20 B/W Illus. This volume pursues a new line of research in cultural memory studies by understanding memory as a performative act in art and popular culture. The authors take their cue from the observation that art and popular culture enact memory and generate processes of memory. They do memory, and in this doing of memory new questions about the cultural dimensions of memory arise: How do art objects and artistic practices perform the past in the present? What is their relationship to the archive? Does the past speak in the performed past (or do we speak to it)? To what purpose do objects "recall"? And for whom do they recollect? 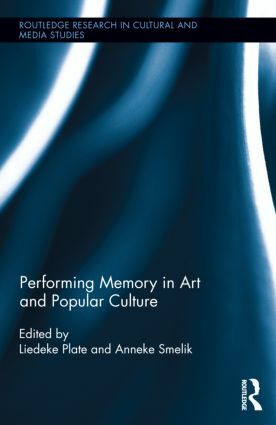 Here authors combine a methodological focus on memory as performance with a theoretical focus on art and popular culture as practices of remembrance. The essays in the book thus analyze what is at stake in the complex processes of remembering and forgetting, of recollecting and disremembering, of amnesia and anamnesis, that make up cultural memory. Liedeke Plate is Associate Professor of Gender and Cultural Studies at Radboud University Nijmegen, The Netherlands. Anneke Smelik is Professor of Visual Culture at Radboud University Nijmegen, The Netherlands.